HAPPY -PRESS RELEASE At the risk of sounding obvious, #HAPPY is a song with a rhythm that will release dopamine into your nervous system.In the wake of singing and composing the official #Kwara@50 theme song, Musician, OAP, Actor and versatile entertainer; Hassan-Hassan Popularly known as Baba Tee. releases this single from his forthcoming album. True to the title, the lyrics are about making you smile, laugh & ‘happy’.Hassan Hassan beautifully sings the names of happiness-peddlers in form of renowned comedians. 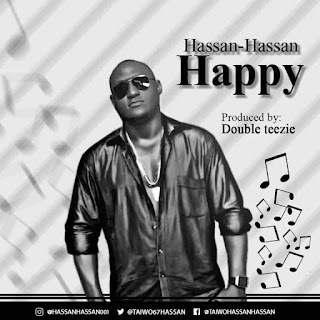 Hassan-Hassan Happy produced by Double-Tee.